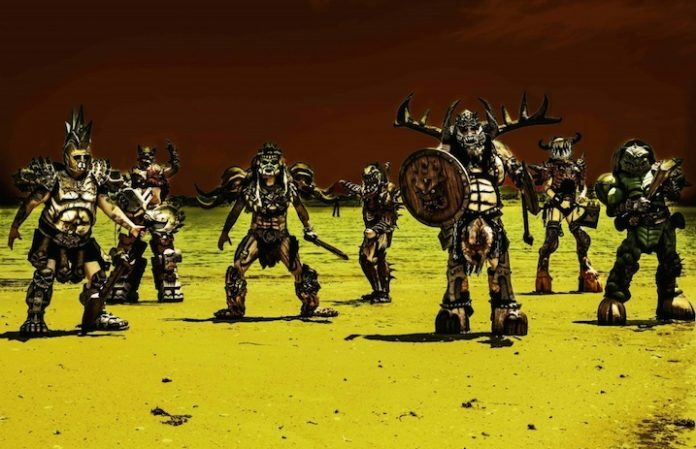 GWAR are gearing up to unleash new destruction on the band's forthcoming second run of their the Blood Of God’s tour. This summer, GWAR will be heading out on the road to “destroy you all,” for their second round of the Blood Of God’s tour. The tour is in support of the band’s latest album that’s under the same name, released last year. Joining GWAR on their forthcoming run will be Light The Torch. The destruction continues in Fort Wayne, Indiana, July 11 and ends July 20 in Asheville, North Carolina. Tickets for the second round of the Blood Of Gods Tour go on sale this Friday, May 18. More information and exclusive GWAR VIP package prices (as part of the “the Lords And Masters VIP Experience”) can be found here.